As far as we know, this is the first-ever anthology of poetry by trans and genderqueer writers! “Troubling the Line: Trans and Genderqueer Poetry and Poetics”, edited by TC Tolbert and me (Nightboat Books, 2013) gathers together a diverse range of 55 poets with varying aesthetics and backgrounds. In addition to generous samples of poetry by each trans writer, the book also includes “poetics statements”—reflections by each poet that provide context for their work covering a range of issues from identification and embodiment to language and activism. You can order the book at Small Press Distribution. A great book with a unique twist on the Werewolf genre! 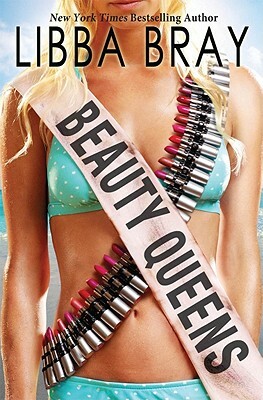 This book is full of LGBT*Q characters, focusing on Devon Andrews, and her death and re-birth into this underworld which she never expected (or even knew existed). There’s some great gender play in here, and I don’t want to give away too many spoilers, but if you’re a fan of horror or werewolves, this has a great cast of characters for readers to identify with. “Here, We Cross” is a collection of queer and genderfluid poetry from issues 1-7 of Stone Telling magazine. It includes poems about both trans* and genderqueer identities and issues, and all of them are powerful, amazing poems. The chapbook is available via Amazon. Though it deals with trigger-warning worthy topics such as homophobia, transphobia, and sexual abuse, Justin Bond’s memoir about v’s childhood in small-town Maryland is definitely worth reading. Bond, a “boy”, is obsessed with old-time Hollywood stars like Rita Hayworth, listens to Elton John with his best female friend, and dances like Ginger Rogers. All of these interests are treated by v’s family as if they were symptoms of a shameful secret. Struggling with difference in a world out of the reach of the 1969 Stonewall riots, v and his grade and high school friends stumble through homosexual desire, sexual abuse, and trans issues while on boyscout trips, in tree houses, or in middle-class girl’s rooms lined with stuffed animals. The lies that simmer under the surface of tranquil suburbia aren’t a new theme in literature, but Bond takes a trope usually used in midlife crisis stories and reworks it as aggressively queer. This isn’t a coming out story so much as a portrait of what LGBT looked like before gender theory and the Internet age busted these secrets wide open. Recommendation: Roland Humphrey is Wearing a WHAT? 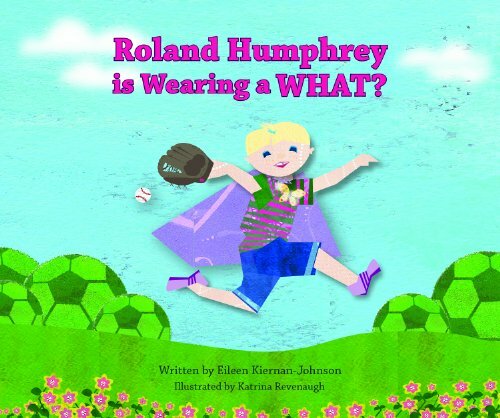 “Roland Humphrey is Wearing a WHAT?” is a picture book for children from the perspective of a young child who can’t understand why kids must be dressed according to their gender. Roland Humphrey loves hockey, but also ballet; Roland Humphrey wears pants but also lavender shoes, tiaras and sparkly butterfly pins. When friends criticize Roland for breaking the “boy rules,” the child tries to conform. But eventually Roland Humphrey decides being true to one’s self is all that matters. For readers of “My Princess Boy” and “10,000 Dresses” who are looking for another addition to their children’s book library and/or recommendations.